As part of this project a Mulberry tree had to be removed. Virginia woodworker Kirk McCauley is one of several local artisans The Thomas Jefferson Foundation has entrusted to honor their beauty and historic significance. 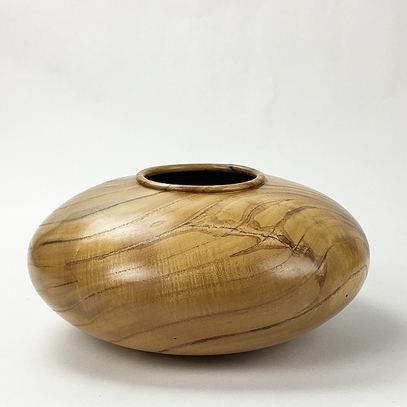 Wood from the Mulberry tree has been used to create this beautiful vase. Signed, dated and numbered. 5 ��h x 12� diameter.